Mini Miracles Farm breeds bloodstock for the serious breeder, as well as homestead quality animals for the small farmer. All animals are treated to the same fine care and training, DNA testing to prove parentage and other genetic characteristics, and are registered with the Miniature Jersey Herd Book and/or American Miniature Jersey Association. Additionally, they all deliver the fine Jersey milk everyone desires. Above 46” are considered full sized standard Jerseys. 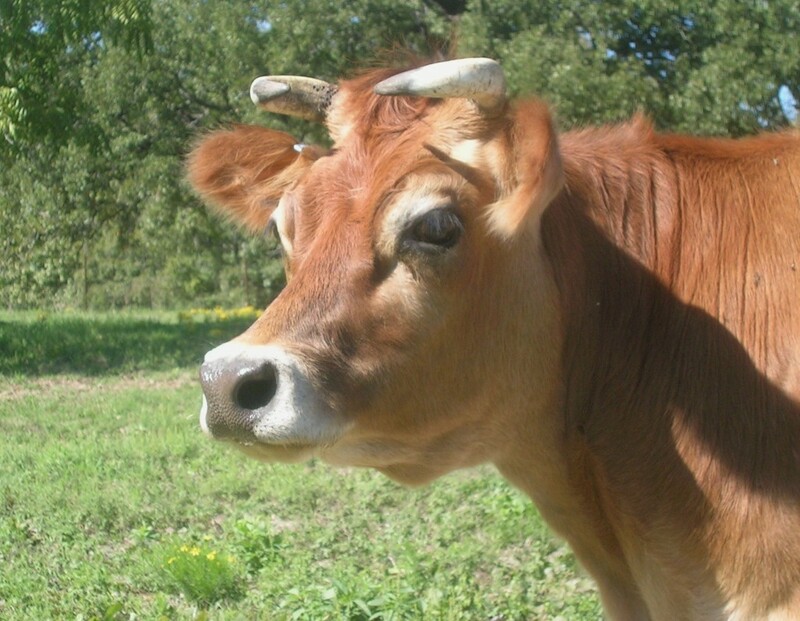 Udder – The entire purpose of a Jersey cow is to provide wonderful milk and the udder is of utmost importance. The udder needs to be well attached and the teats of sufficient size to allow ease in milking. Arched Tail Head – This will be noted in the high “arching” of the tail from the backbone and spine area of the back of the animal. This appears to be an “old world” trait…and is a very desirable characteristic for the miniature Jersey. Overall Conformation – The mental picture of the miniature Jersey should have a straight back line (spine), stand on firm footing, with leg length supportive of overall body length and size. The head should be held high when being addressed, with bright eyes and ears at attention with the tail relaxed. Add to these the Mini Miracles Farm difference. Each of our calves is handled from the minute they are born and at least twice daily until they leave our farm. By the time a heifer departs for her new home she is trained to lead easily on a halter, load into a trailer with or without a ramp, stand for milking and veterinary procedures, lift her feet easily for inspection or trimming, and generally be gentle enough for a child to handle. We expect our cows to be a part of your everyday life; therefore, we take great care in their handling and training. Additionally, we work hard to help you select the animal that will best fit your needs – each animal is unique and not every one will fit every situation and we realize and respect this fact.